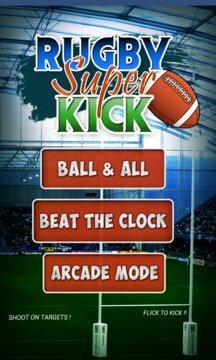 Experience the pure flick-kick action of your favourite Rugby game. Kick the ball to Goalpost from different positions on grounds with the flick of your finger! Keep an eye on distance & wind factor; the ball may swing a lot distorting your goal angle. 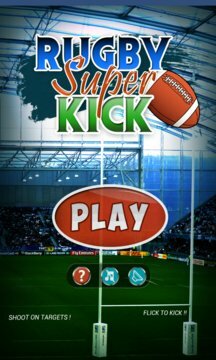 The most intense free-kick Rugby super kicks game to practice your flick-kick skills on windows phone. Flick your finger through the football in the direction you want to kick but keep your eye on the swing, it will change in strength and direction with each kick and can effect your accuracy.